“Withnail and I” and I.
I was inspired to write this post by Cindy Bruchman’s recent post – “A dozen perfect films”. 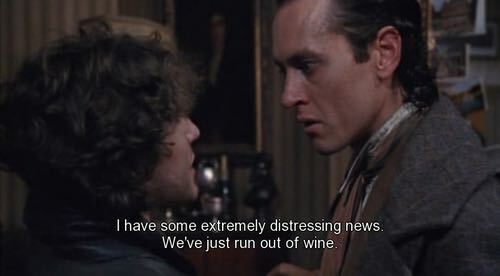 Right up there at the top of my own dozen favourites is “Withnail and I”, a low-key, low-budget English comedy from 1987, written and directed by Bruce Robinson. I saw it when it was released, fell deeply and madly in love with it and since then have watched it countless times. And the great thing is that it’s so rich and multi-layered there’s always some new delight to discover and giggle at. It’s set in London in the final days of the 1960s. 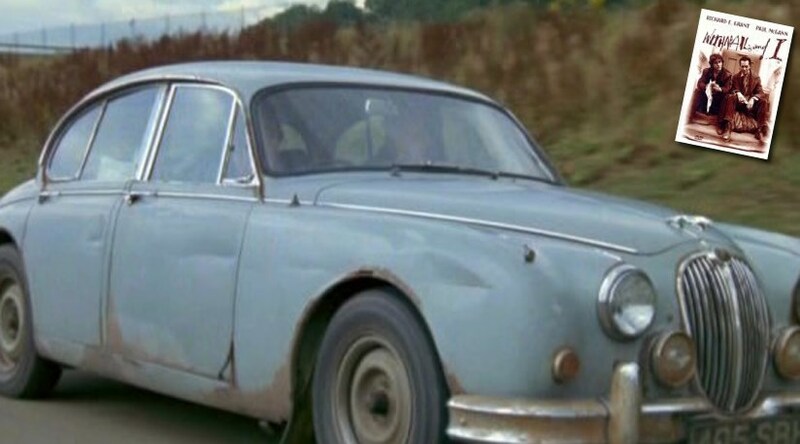 The two main characters, Withnail and Marwood (the “I” in the title), are a pair of out-of-work actors, living in squalor and barely surviving on a diet of pills, booze and grass. Desperate to escape the sordid tedium of their lives, they decide to take a trip to Withnail’s Uncle’s cottage retreat in the Lake District. But what’s meant to be a recuperative holiday in the beautiful North West English countryside doesn’t turn out quite as expected. The 1960s usually conjure up images of flower-power, luscious psychedelia and the summer of peace, love and understanding. The 1960s depicted in “Withnail and I” is more a case of booze-power, shabby drabness and the autumn of squabbles, unrequited lust and grass-blurred misunderstanding. 3.SMART SCRIPT – Top marks here again. The film was written and directed by Bruce Robinson, who’d already established himself as a high calibre writer on “The Killing Fields”. 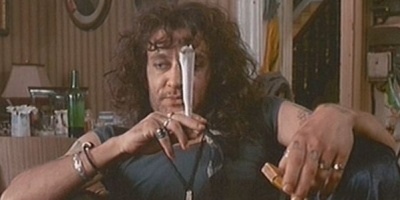 “Withnail and I” is a far more personal film and the background to the story and the characters is well documented. Just read or watch any interviews with Bruce Robinson and you’ll get a sense of the acerbic wit that permeates the script of “Withnail and I”. 4.SATISFYING ENDING – Oh yes! I won’t throw in a spoiler here, but I’ll just say the ending is Shakespearean in its perfection. 5.CHARACTER TRANSCENDS ACTOR – A big pat on the back to Richard.E.Grant, who is totally outstandingly convincing as the doomed, drunk Withnail. And another pat on the back when you learn that the actor himself was/is a teetotaller. 6.SOUND/SCORE – “A Whiter Shade of Pale”…lots of Hendrix…Wonderful. 7.PRODUCTION DESIGN/SETTING – Perfectly matches the concept of “the arse-end of the 60s”. The settings are so perfectly integrated into the story that they’re almost characters in themselves. Take a look at this clapped-out, once fine looking Jag. You can’t help but love it! 8.CINEMATOGRAPHY – The film has a soft, moist quality to it. You can almost smell the damp and decay that the camera captures. 9.COSTUMES – Musty tweeds, shabby second-hand overcoats perfectly illustrate the worn-out, coat-tail end of the 1960s. 10.SUSPENSION OF DISBELIEF. I AM “IN” THE MOVIE – I’ve been “in” this movie so many times it’s become almost like a second home. 14. THE WEATHER (this is my own addition to Cindy’s criteria) – I generally like films with good weather. I love all the Coen Brothers’ films, but asked to make a choice between “Blood Simple” and “Fargo” I’d choose “Blood Simple” any day, simply because I much prefer the sweaty Texan heat of “Blood Simple” to the icy climate of “Fargo”. “Withnail and I” is where the exception proves the rule. The weather in “Withnail” is frankly dreadful. But the merits of the other criteria far outweigh this one little flaw in my definition of a perfect film. After all, what is perfection without the odd flaw or two? The one where he grows a second head is “A Hitchhiker’s Guide to the Galaxy” and I must admit that one is pretty awful. 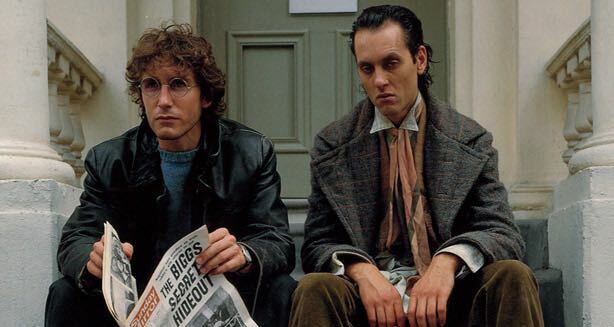 “Withnail” is one of those films people either seem to love or hate. I’ll check it out. After the success of “Withnail”, Bruce Robinson was invited to Hollywood to make a film. He made a film called “Jennifer 8”, which was a total turkey and lost a lot of money. Bruce Robinson hated the whole experience and his account of the Hollywood circus is quite funny. Okay, I’m intrigued, and now having read your critique I’ll give it a shot. I think I’ve found a way to stream it online. Your explanations for fulfilling the criteria all seem sound to me – and I agree with your assessment on the great quality of actors and director – and to top it all off, I rather love films that are filmed in moody English weather. It somehow feels ‘right’ to me and has a comfy atmospheric tone to it. Score one for your side, Rob.